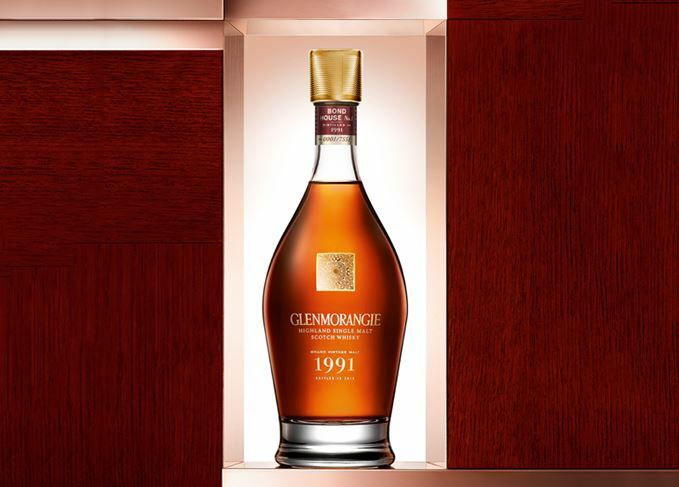 Glenmorangie has released a 1991 vintage single malt as the fourth limited edition in its Bond House No.1 series. Glenmorangie Grand Vintage Malt 1991 features whisky finished in ex-oloroso Sherry casks, alongside whisky finished in ex-Burgundy casks and a ‘hint’ of whisky aged in new toasted oak. The result is a 43% abv whisky with a ‘slightly peppery mouthfeel’ and notes of ‘milk chocolate, stewed apples, plum and ripe red fruits’ on the palate. Lumsden said the conflicting character of the two casks was what drew him to ‘the challenge’ of combining them. Glenmorangie was one of the first distilleries to market a cask-finished single malt with the 1987 release of a 1963 vintage finished in ex-oloroso Sherry casks. Its Bonded Warehouse No.1 series takes its name from the largest of the Tain distillery’s 19th century warehouses, which was transformed into a still house in 1990. Glenmorangie Grand Vintage Malt 1991 is available from 9 April from specialist retailers for around £630. Previous editions in the series have included a 1990 vintage released in 2016, a 1989 expression launched in 2018, and a 1993 vintage introduced exclusively into travel retail in 2018. The 25-year-old travel retail exclusive was ‘finished’ for 15 years in an ex-Madeira cask. Bowmore, Glenmorangie, Hazelburn and a ‘troika’ of Bruichladdich conclude 2016’s new whisky notes. Secondary maturation in Scotch whisky is a recent, but nonetheless fascinating, phenomenon.